Soho Tea and Coffee is just a short walk from campus in Dupont Circle and is open from 7 a.m. until 9 p.m., providing enough hours to squeeze in a study session. When you have maxed out hours in Gelman Library and want a cozier spot away from the GW crowd, Soho Tea and Coffee is a fresh place to study. The coffee shop is just a short walk from campus in Dupont Circle and is open from 7 a.m. until 9 p.m., providing enough hours to squeeze in a study session. The cafe offers ample indoor and outdoor seating with access to free Wi-Fi and plenty of outlets – unlike a lot of cafes around the District – to charge your computer during study binges. If the weather does not permit sitting outdoors, there are plenty of windows inside the cafe so you can snag a seat with a view of some D.C. scenery. Indoor seating also features dozens of chairs and table lamps for a cozier feel than anything on campus. While studying, you can keep caffeinated with the coffee shop’s selection of coffee, tea and espresso drinks – like lattes, white mochas and Cuban coffee –with prices ranging from about $2 to $5, providing cheaper options than on-campus staples like Starbucks and Peet’s. If caffeine is not your style, the menu also features eight different smoothie flavors for just $5.25 with options like strawberry banana and unconventional flavors like cherry and pomegranate. Keep yourself fueled as you work away with Soho Tea and Coffee’s food menu, which features soup, salad and sandwiches at an affordable price. When a long day of studying for exams and writing papers gets the best of you, take the edge off with a glass of beer or wine, which are each less than $5 during a daily happy hour from 4 to 7 p.m. and less than $8 during non-happy hour times. 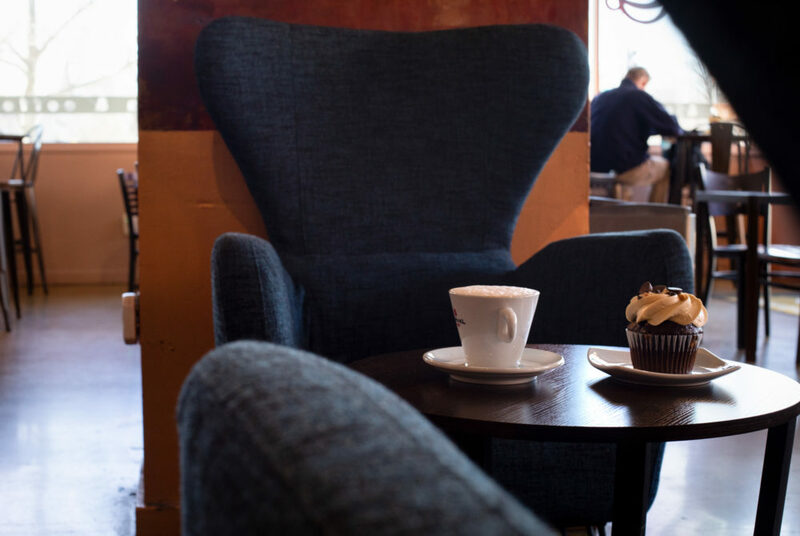 Whether you need an affordable and delicious cup of coffee, a homey atmosphere or just an escape from Foggy Bottom, Soho Tea and Coffee has you and your study needs covered.